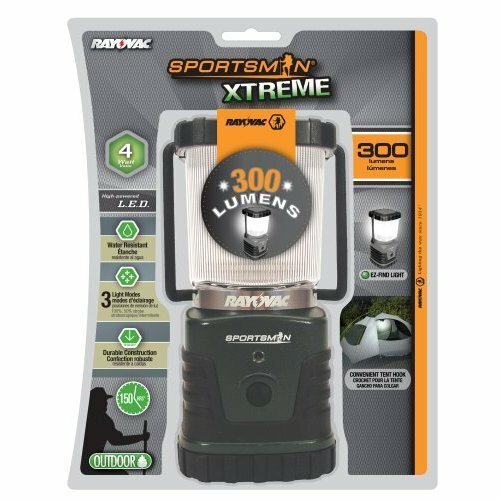 With optimized beams, rubber grips, and tactical switches, Rayovac’s Sportsman Xtreme lights are what you need for the outdoors when you head for the hills, woods, or even the backyard. 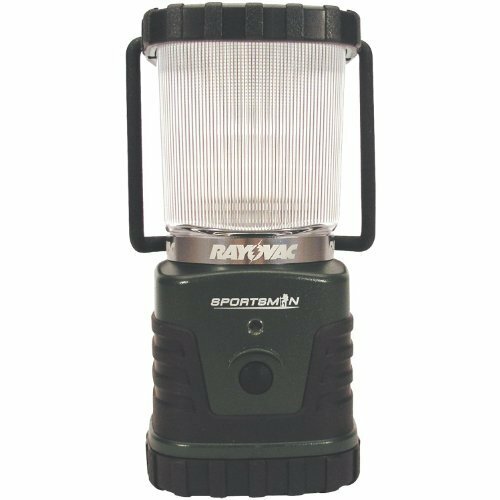 Nicely compact and ultra-portable at just 7 inches tall and under 3.5 inches wide, this Rayovac SE3DLN lantern also provides an incredibly bright 300-lumen light. 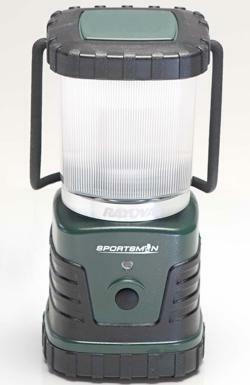 This Sportsman green-and-black lantern features durable ABS construction, with rubberized handle and it’s engineered to be water resistant. The bottom has a convenient tent hook that can fold out to light up your tent hands free. 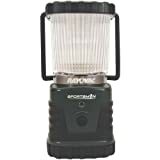 This lantern also features a foldout rubberized handle for easy carrying. An easy-find green LED blinks every five seconds when the lantern is off so you can locate it even on the darkest nights. It’s backed by a lifetime warranty. A perfect light source for modern headlamps, LEDS are virtually unbreakable, and they contain no filament or mercury. Lasting a lifetime, they never need to be replaced. And they use battery power much more efficiently, greatly reducing the number of batteries needed over the life of the light. The energy efficient 4-watt LED bulbs are powered by three D batteries (not included) for up to 72 hours of continuous use on high mode and up to 150 hours on energy saver mode. It also includes a strobe lighting mode.